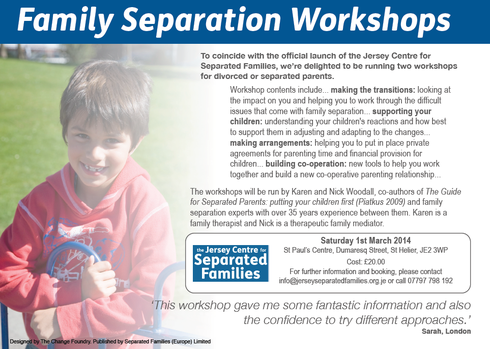 To coincide with the official launch of the Jersey Centre for Separated Families, we’re delighted to be running two workshops for divorced or separated parents. 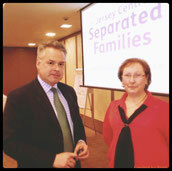 The workshops will be run by Karen and Nick Woodall, co-authors of The Guide for Separated Parents: putting your children first (Piatkus 2009) and family separation experts with over 35 years experience between them. Karen is a family therapist and Nick is a therapeutic family mediator.